It’s an odd-looking cube for a furniture complete with a large oval hole and several smaller holes. But wait! 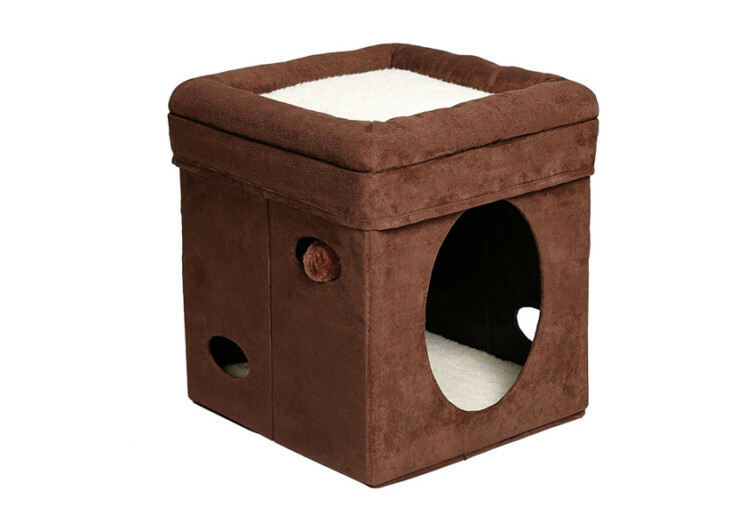 The MidWest Curious Cat Cube is actually a house for your feline friend that comes with an elegant and comfy topper perfect for resting while on a predatory hunt and a nifty den for undisturbed rest. 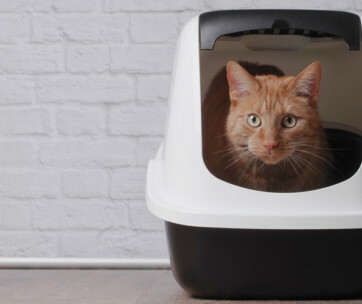 The Curious Cat Cube is one of those feline contraptions you may want to get for your kitty especially if it is the type of cat that loves the privacy of a den. 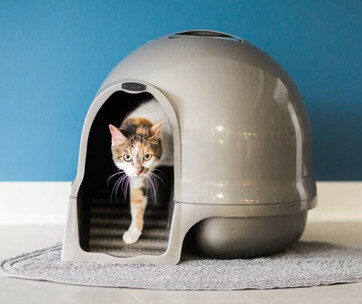 Unlike pet beds that have open tops and very short sidewalls, the Curious Cat comes with high walls for the ultimate in privacy. 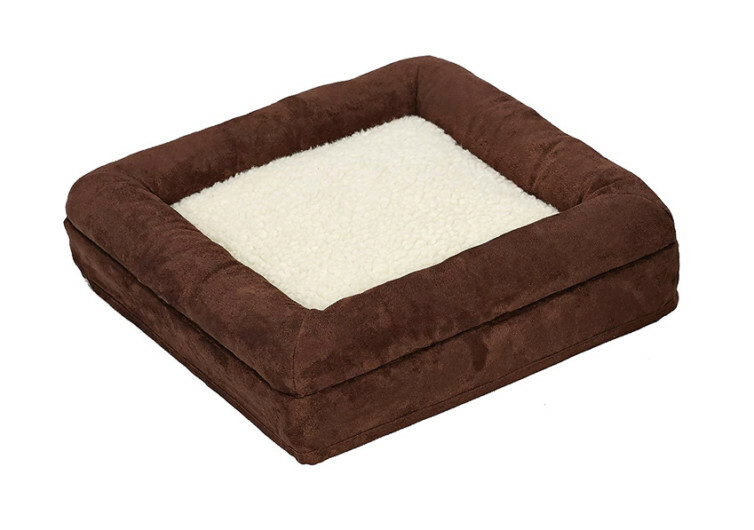 A large oval opening allows for ease of access to its comfy interior lined with extra-soft fleece cushion for resting your pet’s tired body. 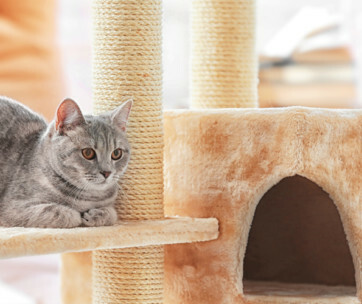 The overall construction of the Curious Cat employs a variety of materials such as synthetic sheepskin and faux suede to give it a certain posh appeal that will make others think that you’ve spent several hundreds of dollars for this. 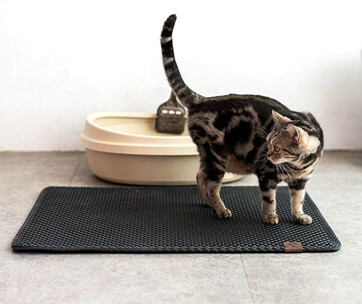 The topper comes with a cushioned surface complete with moderately-high sidewalls to help serve as pillow for your pet, perfect for resting its neck and allowing its head to dangle on the side. The small holes on the Curious Cat serve a special purpose, too. 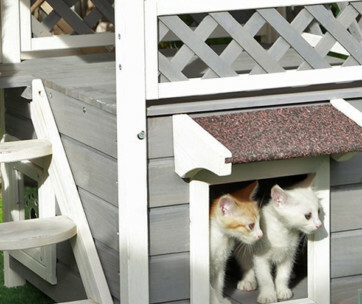 These are perfect for hide-and-seek activities with you cat. 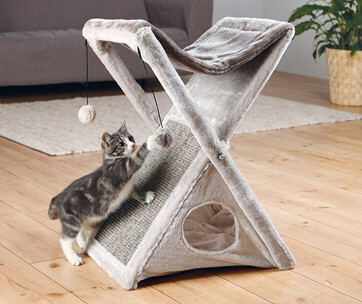 The package already comes with a hanging plush ball which you can use to interact with your feline friend. Perhaps the best part is that the Curious Cat is actually collapsible, allowing you to store it almost anywhere and bring it in your travels. 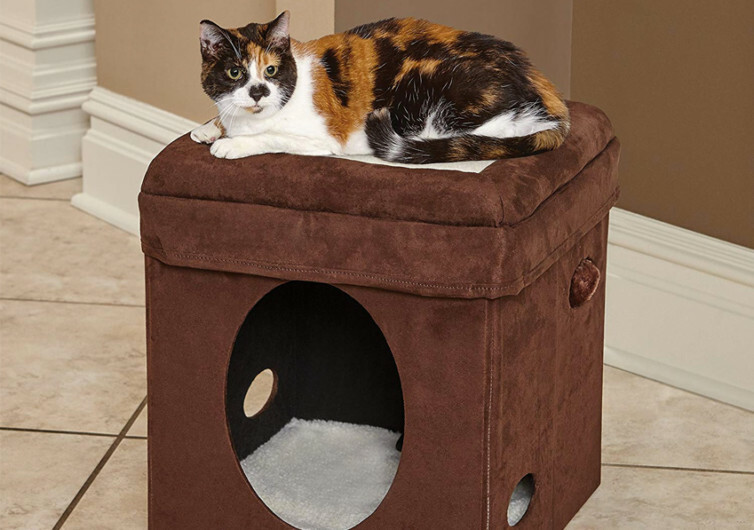 The Curious Cat Cube is a highly mobile and extra-comfy cat home that works well with small dogs, too. Why get a pet bed when you can have the comfort of a pet den?